Veteran theatre and film personality Tom Alter lost his battle against skin cancer at his residence here, his family said on Saturday. He was 67. 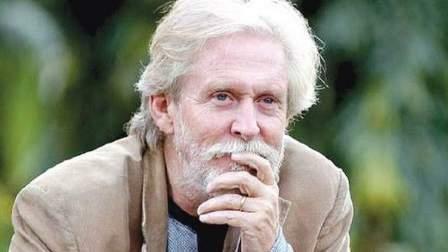 Tom Alter was battling stage four skin cancer at a Mumbai hospital, where he was admitted earlier in September. He returned home on Thursday and breathed his last on Friday night, the acclaimed actor's manager Ismail Ansari told IANS. A statement released on behalf of his family, said: "It is with sadness we announce the death of Tom Alter, actor, writer, director, Padma Shri, and our dear husband and father. "Tom passed away on Friday night at home with his family and close family members in attendance. We ask for their privacy to be respected at this time." Earlier, Tom Alter's son Jamie had told IANS that the actor was suffering squamous cell carcinoma, a type of skin cancer. Last year, Tom Alter had got his thumb amputated due to the condition. According to Jamie, Tom Alter was fighting cancer well and was showing the will to battle it out. Known for starring in television shows like "Bharat Ek Khoj", "Junoon", "Zabaan Sambhalke" and "Betaal Pachisi", Tom Alter was an American-origin actor settled in India. He had a flourishing career on stage, and on the big screen, he has played pivotal roles in successful films like "Gandhi", "Shatranj Ke Khilari", "Kranti", "Aashiqui" and "Parinda". In 2008, he was recognised with the Padma Shri, the fourth highest civilian honour of India. Well-known names from the industry condoled his death. Filmmaker Mahesh Bhatt tweeted: "Goodbye to you my trusted friend!" Singer Mohit Chauhan wrote: "Saddened by the passing away of Tom Alter saab. A glorious chapter has come to an end. His death marks the end of an era of grace and dignity. RIP." Actor Riteish Deshmukha, who says he had the privilege of working with Tom Alter in "Bangistan", said he "will always remember him for his humility and kindness". Actor Arjun Kapoor also recounted having the "fondest childhood memories of seeing him on 'Zabaan Sambhalke". Actress Nimrat Kaur described him as a "one of a kind, grace personified, thorough gentleman". He last featured in a television show "Rishton Ka Chakravyuh", and on the big screen, he was seen in "Sargoshiyan". He also shot for a short film "The Black Cat", in which he features as author Ruskin Bond.